A containership belonging to TS Lines ran into severe difficulty on Thursday morning, leading to the crew being evacuated. The TS Taipei , en route from Keelung to Hong Kong, suffered engine failure and the engine room flooded. The ship then grounded just off the northern tip of Taiwan. 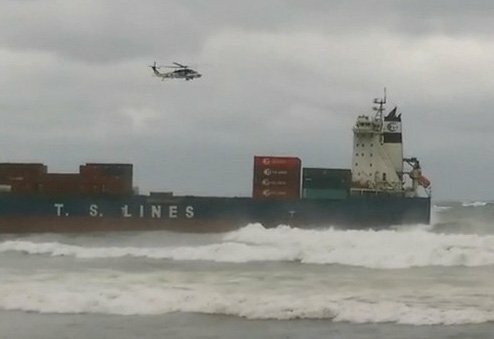 A coast guard helicopter was deployed and all 21 crew were taken off the ship.